There are tons of Beautiful Places in Singapore. 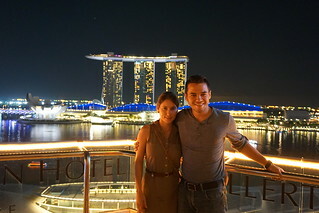 Our trip in Singapore was fantastic, this city truly fulfilled all of the high expectations we had about it. From the time you set foot on the airport you can see how modern, organized and well planed everything is. 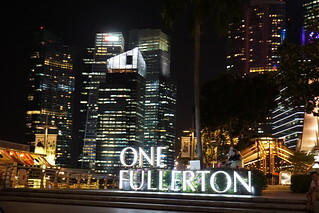 First of all Singapore is a very safe city, we felt very safe walking at night pretty much everywhere we went. The metro is amazing, it will take you anywhere you need to go and is very easy to use. 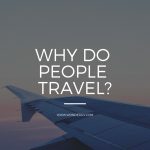 We recommend if you are staying in Singapore for a couple of days to get a metro card, you can save some money this way plus is also convenient since you don’t have to purchase individual tickets every time you are about to ride the metro. 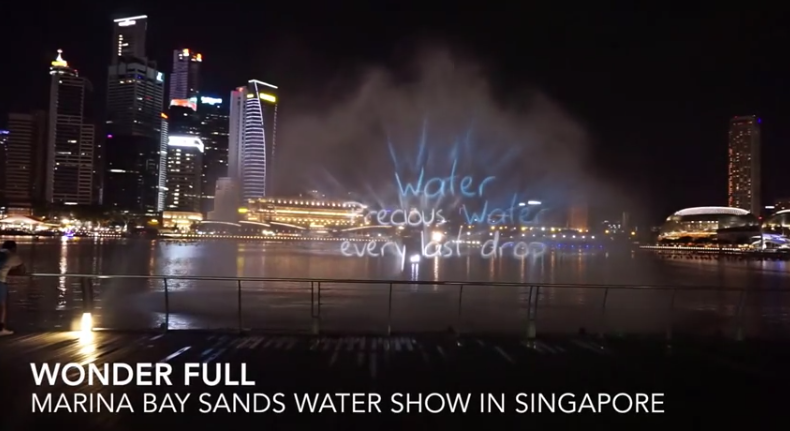 Here are some of the most iconic and most beautiful places to visit in Singapore. 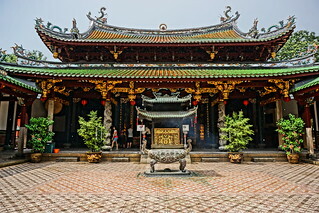 This is the biggest and most impressive Chinese temples in Singapore. 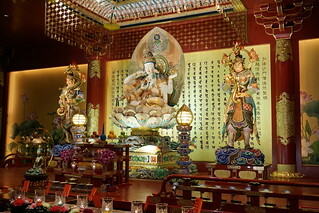 Located in Chinatown Buddha Tooth Relic temple is a must see destination. The architecture inside and outside the building is amazing. The many gold figures of Buddha are magnificent. 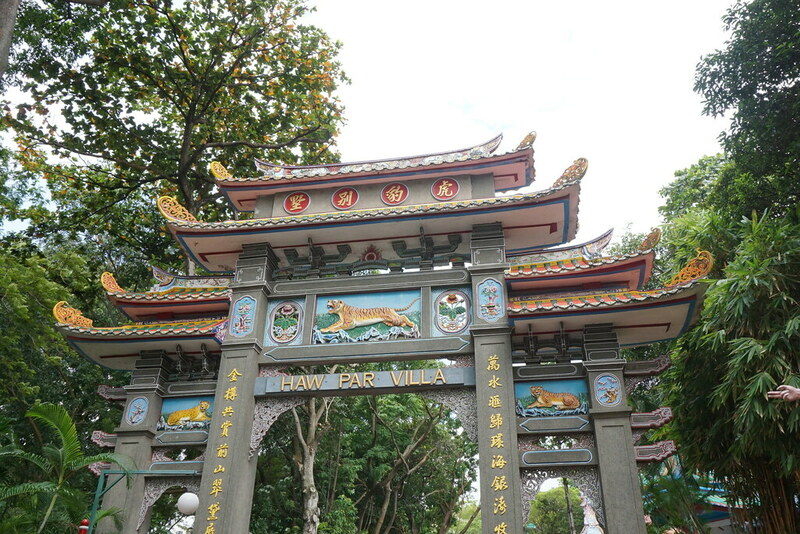 There are many things you can do in Sentosa Island, you can almost come vacation to Sentosa for a few days and you will not run out of things to do. We totally recommend you check out Sentosa island for a day. Getting there is very easy from the metro. 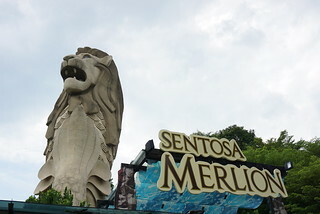 Sentosa Island is home to Universal Studios Singapore and the famous Resort World hotel and casino. Make sure you stop by Sentosa and walk around or take a ride around the island on the free shuttle. 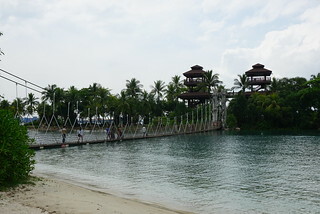 If you go to the southern part of Sentosa you will find a number of different beaches. One of the coolest ones is Palawan Beach which has a suspension bridge to a tiny island which is the southernmost point in continental Asia. 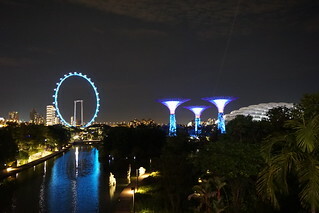 We were surprised to see how many fantastic night spots Singapore has to offer. 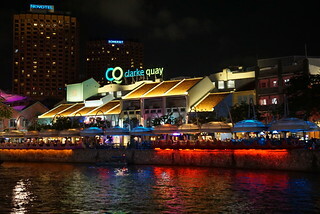 One of the biggest destinations for bars, nightclubs and restaurants is Clarke Quay. Make sure you come here at night to take a stroll along the riverside, have dinner at one of the many different restaurants and go have a drink if you are up for a fun night. Clarke Quay also has many stores and shops. 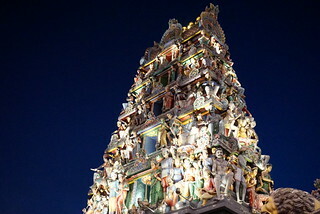 Sri Mariamman is the most important Indian temple in Singapore. With a large Indian population Singapore is home to many different Indian temples. This colorful and picturesque temple is definitely worth a visit. 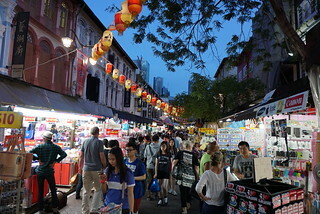 As every mayor Asian city Singapore also has its own China Town where you can find all kinds of products, food stalls and services. Come here to find great deals on souvenirs, Chinese food and a reflexology (foot message). We were happy to see that unlike many of the other Asian cities, you do not see any “fake” products here, pretty sure is just one more rule of the Singaporean government. Visit Emerald Hill Rd. Near Orchard Rd. 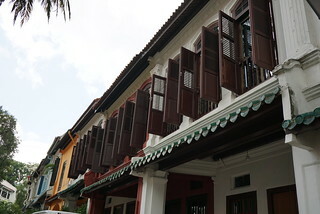 Along the many modern shopping malls in Orchard Rd, you will find a very small and quiet street called Emerald Hill Rd. This block is full of old colonial homes, some of them have been transformed into quiet restaurants and bars with a very unique “old-style” decoration and ambiance. 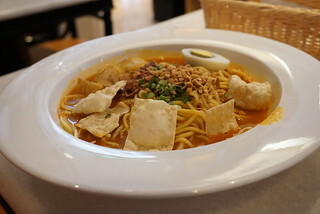 Because of the many different cultures that you find in Singapore the food is very unique and very delicious. The combination of Asian and Indian food makes Singaporean dishes very rare and unique. You will find many restaurants and places with great food everywhere you go. If you want to be on the safe side just go to one of the many malls in Singapore where you will find many different restaurants in the food court. If on the other hand you feel a little bit more adventurous go to a local food market or try one of the restaurants in the road. The (find market name) has dozens of traditional Chinese and indian food at great prices. 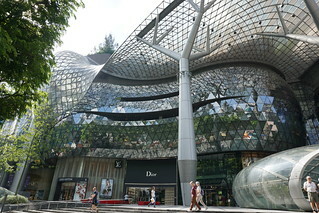 Check out the many high end retail shopping malls in Orchard Rd. Orchard Rd. has to be one of the roads in the world with the highest density of high-end retail shopping malls and stores. Within a couple of blocks you can literally find a handful of Rolex, Prada, LV and many other luxury stores. In Orchard Rd. you will also find many other shopping malls with thousands of stores for you to visit. Shopping malls are some of the most Beautiful Places in Singapore. Make sure you come to Orchard Rd at night as some of the buildings have some pretty spectacular lighting decoration. 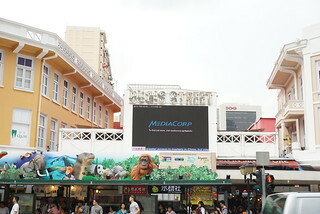 Bugis St. is another very commercial road where you will find many different shops. Inside Bugis St. you’ll find a traditional market with dozens of stores offering a variety of clothing, souvenirs and food. Next to Bugis St, you will also find Bugis Junction which is yet another shopping mall linked to the Bugis Metro station. 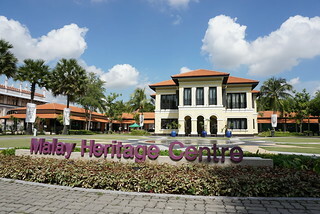 We decided not to go inside the Malay Heritage Center, but if you are in the neighborhood this is definitely a nice place to visit. It has a pretty well kept garden and some the Museum has an interesting colonial architectural design. 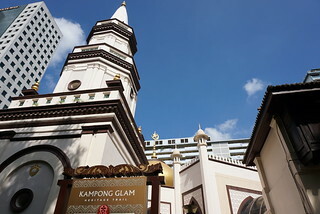 Kamong Glam is a very beautiful temple in Singapore. A unique feature of the temple is that the upper part of the structure it’s tilted so it is quite interesting looking at it. 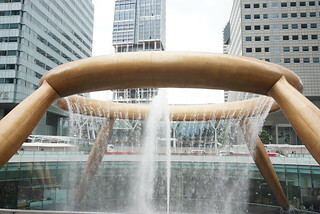 In downtown you will find the enormous fountain of wealth. This amazing fountain is two taller than two floors of the shopping mall where it resides. Stand next to it and you’ll surely get wet on a windy day. There are also a handful of restaurants on the lower level with a direct view of the fountain for you to have a nice meal. 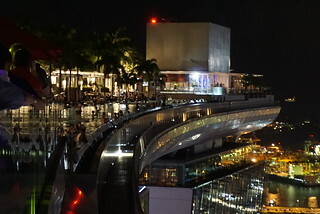 As you probably know by now Marina Bay Sands is kind of the “Center of the Action” in Singapore. 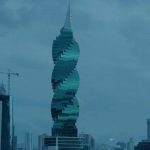 This awesome hotel and its unique architecture has some of the most unbelievable views in the world. 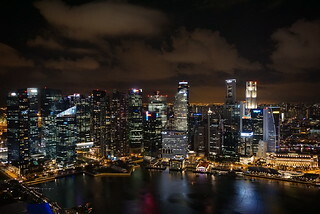 Make sure you don’t miss the opportunity of visiting it’s rooftop to get a glance of the amazing Singaporean skyline. To go to the Rooftop you have two alternatives. The first one is to pay the ticket to visit the rooftop which costs around $20USD where you will have the chance to take some pretty awesome photos. The second alternative and the one we opted for is to visit the rooftop bar KU DE TA where you can get in free before 9pm. Whats the catch, you are expected to have at least a drink at the bar which costs around $24 USD for a regular cocktail. If you decide to go to Ku De Ta make sure you visit both the restaurant and the nightclub to get two different viewpoints of the city. We went first to the restaurant without knowing that the nightclub was on the other side and almost left without seeing the famous rooftop pool. I believe most people staying in Marina Bay Sands pay the $350+usd per night to get a chance to swim at the tallest infinity pool in the world. The Marina Bay Sands rooftop pool is open only for guest of the hotel making it a very popular attraction for the hotel guests. We are definitely going to try to stay at least one night at the hotel in our next visit so we can take a swim at this amazing pool. From Ku De Ta you are able to see the entire pool, when we visited it was around 10pm and the pool was pretty crowded, but seem to have a pretty cool atmosphere. 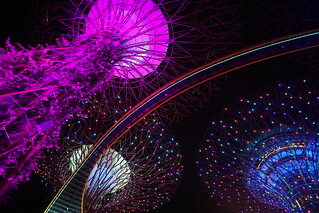 The Gardens by the Bay is a spectacular place to visit specially at night. Make sure you make it to one of the free shows at 7:45 and 8:45pm. We did not get to go inside the paid part of the gardens, but the south side where the light up threes are is free of charge and is pretty awesome. Not sure what was going on with the Flyer at the time of our visit in Nov 2014 as the flyer was not in operation. It is still a pretty cool place to check out, I’m sure when it is back in operation should be a must-visit attraction as you can get a great view of all of Singapore from up thre. 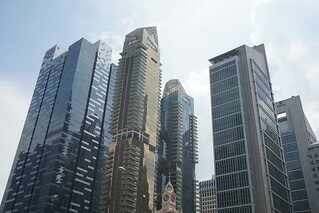 Singapore has some ultra modern architecture. Take some time to just get lost in downtown and check out some of the amazing residential and office buildings. This is a very beautiful building inside and out. Unfortunately most of the exhibitions were closed when we visited in November of 2014, but it is a ver interested place to visit. 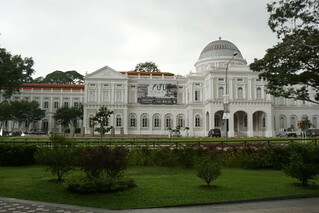 They have ongoing exhibitions about the history of Singapore and more modern art and photography as well.